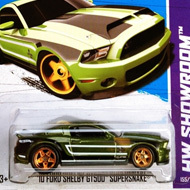 238/250 is part of the HW Showroom series and the 2013 Super Treasure Hunt set. 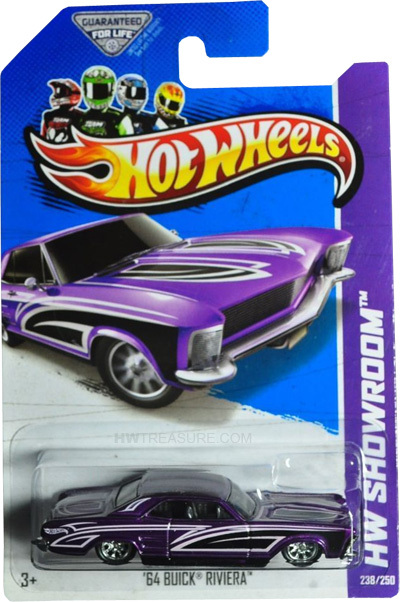 The Riviera boasts purple Spectraflame paint with the Hot Wheels logo on the sides and black & light purple graphics on the sides and top. It has tinted windows, a grey interior, chrome 10-spoke Real Rider wheels, and a chrome plastic Malaysia base. The Riviera debuted in the 2002 First Editions series. 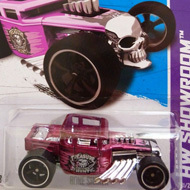 This is its second time as a T-Hunt and was previously in the 2008 series.